The South African Book Fair is the largest public celebration of the written word in sub-Saharan Africa. 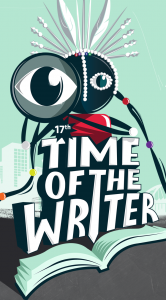 From 13-15 June 2014 they will be bringing writers and thinkers from across the country and the world together to rub shoulders with you, the readers, in a not-to-be-missed literary celebration. Join them in welcoming some of the biggest names in South African writing, publishing, politics, television, radio, art, theatre, and sport. Over 100 authors, illustrators, storytellers, book critics, expert speakers and leading thinkers. A range of events from puppet shows to book launches, in depth panel-discussions and book club brunches to cocktails in the bar. A veritable feast of voices: speakers, panelists, academics and attendees. This diverse line-up includes: Professor Njabulo Ndebele, Judge Edwin Cameron, Dr Xolela Mangcu, author Deon Meyer, analyst Prince Mashele, businessman Victor Kgomoeswana, bestselling author Susan Lewis, storyteller Sindiwe Magona, award-winning Setswana author Sabata-Mpho Mokae, historian Hazel Crampton, sports-analyst Marco Botha and legendary chef Karen Dudley. Rolling up our sleeves: Engaging, serious and thought-provoking debates about some of the current issues that our leading thinkers are tackling – Twenty years of democracy: looking back to look forward, Rholihlaha means trouble maker – translation and its troubles, Muslims in the South African imagination, Are Trout South African? Who belongs in SA? And more…. What’s on your mind? Debates and talks around the hot issues that face us today with contemporary and outspoken voices having their say – The justice system with Judge Edwin Cameron and Vusi Pikoli, the truth is stranger than fiction, some of the eye-popping true stories that have rocked our world like the Griekwastad murders and the Grand Slam, a look at educating children in the 21st Century with some of the country’s top school principals, why Africans do not buy books written in African languages, the daily reality of doctors and nurses in South Africa by a doctor who walked away…. Bestselling author Susan Lewis: Don’t miss author Susan Lewis chatting about life, love and everything in between. Perfect for book club babes! Getting published: A must for aspirant writers and publishers, this series offers workshops and presentations on everything from proofreading to translation, illustration to creative writing. Find out how successful writers write for foreign audiences and how to shoot the lights out with book sales. Also part of the programme is writing and illustration workshops for teens. A splendiferous children’s line up: Storytelling, show-and-tell, book-inspired craft activities, pirate and princess high tea on the high seas, book breakfasts, puppet shows, and of course a visit from larger-than-life book characters – Peter Rabbit, Spot the Dog, Maisy Mouse, Wally, and the inimitable Gruffalo! The 2014 Franschhoek Literary Festival’s programme has been announced – if you love books this is one festival not to miss out on this year! Bookings will only open at midday tomorrow (Wednesday 19th March). Visit their website for information about the schedule and the participating authors – www.flf.co.za. The festival will be held from the 18th to the 23rd of March 2014 and will feature international best-selling Icelandic crime writer Yrsa Sigurðardóttir and a diverse selection of local authors including Jassy Mackenzie, author of Switch, Stanley Trollip, who is one half of writing duo Michael Stanley (Deadly Harvest), and John van de Ruit (Spud – Exit, Pursued by a Bear). Highlights to look out for at the festival include investigative journalist Julian Rademeyer’s (Killing for Profit: Exposing the Illegal Rhino Horn Trade) discussion on whether there is hope to be found in Southern Africa’s rhino poaching crisis, a creative writing workshop with Sigurðardóttir, Mackenzie and Trollip, and a discussion with award winning author Karen Jayes (For the Mercy of Water). 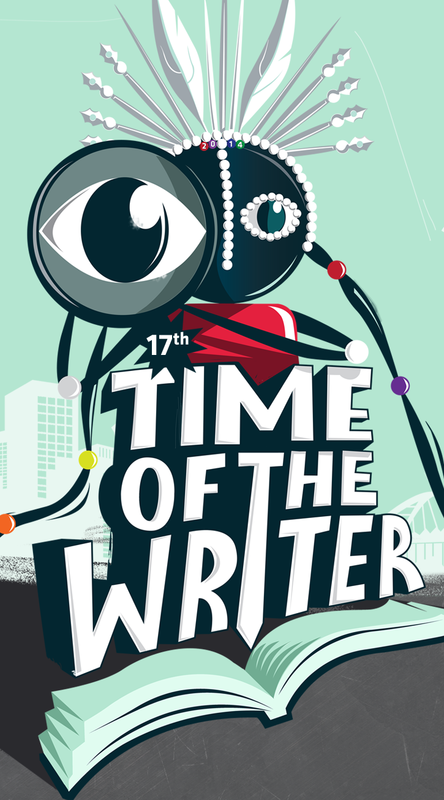 The University of KwaZulu-Natal’s arts gateway to Africa and the world, the Centre for Creative Arts, is proud to present the annual Time of the Writer Festival from 17 – 22 March 2014. The written word envelops Durban as a diverse selection of the leading novelists, social commentators, activists, playwrights and short story writers from South Africa, Africa and abroad, gather for a thought-provoking week of literary dialogue, exchange of ideas and stimulating discussion. With panels every evening at the Sneddon Theatre and a range of free daytime activities at schools, community centres and tertiary campuses. Click HERE for the full festival programme and a list of events. Nadine Gordimer, Adam Habib, NoViolet Bulawayo, Ronnie Kasrils, Isabel Hofmeyr, Shaun de Waal, Craig MacKenzie, Imraan Coovadia and Niq Mhlongo are among the writers, thinkers, academics and activists who will be taking part in the fourth Mail & Guardian Literary Festival at The Market Theatre in Johannesburg from August 30 to September 1. The festival will pay tribute to and draw inspiration from the late Chinua Achebe, adopting as its theme and sub-title Achebe’s children: Africa’s suspended revolutions. In the keynote address on Friday 30 August, Adam Habib, the new vice-chancellor of the University of the Witwatersrand, will talk about South Africa’s suspended revolution. The festival’s theme chimes also with Habib’s forthcoming book, South Africa’s Suspended Revolution: Hopes and Prospects, which will be published by Wits University Press and Ohio University Press in August. The book is billed as shedding “light on how individuals and institutions can, with imagination, act against the grain of a given historical moment and transform the options available to society”. A wide range of South African publishers and university presses are the festival’s partners. They are: Jacana, Jonathan Ball, Kwela, Modjadji Books, NB Publishers and its imprint Zebra Press, Pan Macmillan and its imprint Picador Africa, Random House Struik and its imprint Umuzi, UKZN Press and Wits University Press. Click HERE for bookings and additional information. It’s almost here! The Open Book Festival is happening in Cape Town from Saturday the 7th of September, to Wednesday, the 11th. And what a full, five day programme the organisers, Mervyn Sloman (owner of The Book Lounge) and Frankie Murrey, have put together. There are over 130 events, that feature more than 120 authors (local and international) – heaven, for all book-lovers! Click HERE to see the programme, and click HERE to view the impressive list of participating authors. 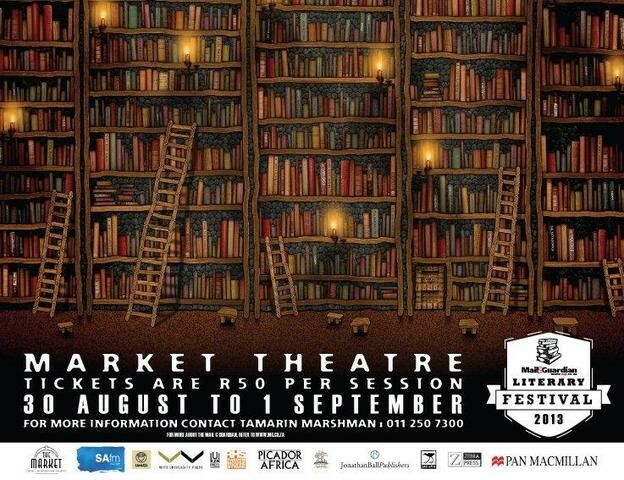 KwaZulu-Natal’s premier book festival, the 2013 Midlands Literary Festival, is just around the corner. And it promises to be a bumper weekend for Howick and the greater Midlands because over the weekend of the 23-25 August, Howick will host the literary festival at Yellowwood, the Mandela Marathon on the Sunday 25 August as well as the Highland Games on 24 August at Michaelhouse. They have a bumper line up for book lovers, says festival organiser Darryl Earl David. Leading the charge is Ronnie Kasrils, 2011 Paton Prize Winner who will be heading to Howick to launch the 4th edition of his autobiography Armed & Dangerous. Two times Paton Prize finalist Judge Chris Nicholson, who wowed crowds with his talk on Indian golfer Papwa last year will be speaking on his debut novel One Hand Washes the Other. Duncan Brown, a familiar name in Pietermaritzburg, is sure to enthral the crowds with his hot off the press book Are Trout South African? Grant Leversha will be there with his great golfing book that is palming international award after award, Within an African Eden. There is also plenty of local flavour. Celebrity chef Jackie Cameron will have you salivating with her new book Jackie Cameron Cooks at Home. Paul Ross will talk on his magnificent book on the Drakensberg, with photographs by Roger de la Harpe; there will be a talk on Ardmore Ceramics biography We are because of others, retired Professor of English Elwyn Jenkins will be talking on famous artists Gerard Sekoto’s only children’s book Shorty and Billy Boy; Jane Harley will speak about the long and winding road to self-publishing; Darryl David continues his love affair with God’s architecture in his book A Platteland Pilgrimage; and a South African legend, Dr Ian Player, will talk about his just released biography Into the River of Life. Chris Ballantine, professor of music at UKZN will talk about the triumphs of jazz during the apartheid era in his Marabi Nights; Cape Town poet Shabbir Banoobhai will show us through words why he is one of the more respected wordsmiths; Jeff Guy will talk on Theophilus Shepstone; Carol Campbell pulls at the heartstrings with her unput-downable novel My Children Have Faces; Ashwin Desai, one of the sharpest minds and most riveting speakers will speak on his new book on Gandhi (if they can get him to stick to the script; Barbara Erasmus will speak on the devastation of Alzheimers chronicled in her novel Below Luck Level and Scott Couper, biographer of Albert Luthuli, says he will be talking about the F-word (Darryl David was too afraid to ask what that may entail). Please reserve your place on this tour by e-mailing Darryl David on davidd@ukzn.ac.za or calling 081 391 8689. Jenny also has her own private book club called Jenny & Co – it was founded 10 years ago and now has over 4 000 members who come to author events which include literary weekends away, monthly ‘meet the author’ events (always accompanied by delectable food), an end of year Big Book Brunch, and ‘In Conversation …’ events at the theatre. And her latest venture is The Bloody Book Week, Africa’s first crime book festival, happening in and around Johannesburg from the 31st of July to the 4th of August. They have a fabulous range of events for The Bloody Book Week 2013, some free, some fee paying, but they all have one thing in common: crime writing at its best. 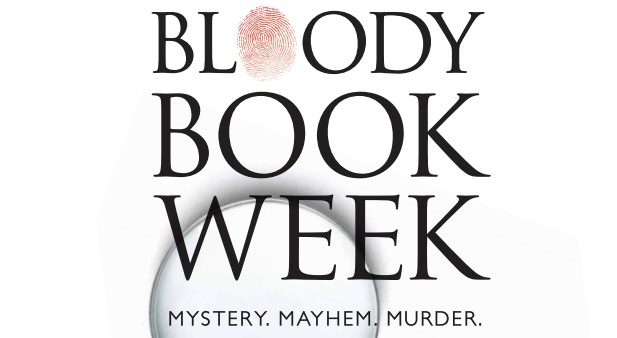 Click HERE to download this year’s The Bloody Book Week programme.